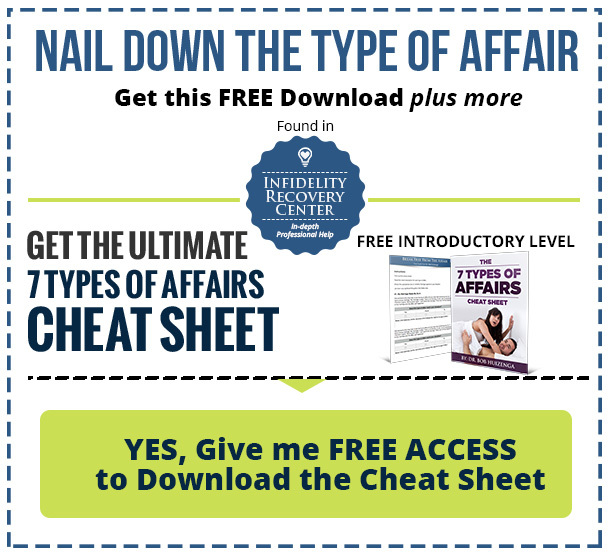 ← Infidelity: How Do You Get Rid of the Pain? Once a Cheater Always a Cheater!? Once a Cheater, Always a Cheater!? Those who have never been on the receiving end of infidelity frequently proclaim, “Once a Cheater, Always a Cheater!” Cheating represents a morally corrupt individual with a touch of character disorder. From emotionally afar, they lump all cheating and cheaters together in a not so pretty picture. The question mark speaks of the pain of infidelity, of the broken promises and words of betrayal. The quiet question mark reserves hope that all is not lost: that at some point in some way there may be remorse, redemption, reconciliation and the saving of family, marriage and dreams for the future. “Once a Cheater, Always a Cheater” also speaks for trust. Can I trust that my cheating spouse CAN be faithful? Can I trust the new words and new promises? Can I trust that they will not cheat again? I don’t believe I can take another round of the deception and betrayal. It depends… on two factors. 1. The type of affair. Particular types of affairs are prone to repeat experiences. 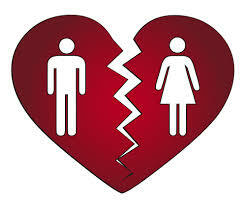 Once the marriage or relationship is altered, healed and reconstructed, the odds of cheating again are revised. Knowing a pattern is exceedingly helpful. It helps you get to the core of the issue or issues. And, when you are at the core, you achieve a high degree of clarity about what you need to do to make something happen. Infidelity is like being raped. Something sacred, something vitally important has been violated. 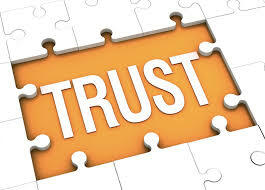 Boundaries of loyalty, trust and promises of fidelity, care and concern are mocked without seemingly much regard. 11 Responses to Once a Cheater Always a Cheater!? Men DO NOT want to lose their assets!!!! Sit down with him and tell him you are seeing a lawyer and actually go see one!! (the first consult is almost always free). Show him the paperwork the lawyer gives you itemizing your assets. Then see what his response is. I hate seeing men who bash their wives for divorcing them and “stealing” all their assets… This joker needs a last wake up call. If he doesn’t change his ways… like extra work hours and outside “activities” and agrees to go to counseling… then and only then will you get your answer. Good Luck!! Own your deficiencies. I believe it does take two along with lack of communication. My advice, gather up all the info you can and hold your cards tight. Get out of town so he has no where to run. Sit him down. Let him know you know everything. own your part in the disconnect and calmly ask him for the courtesy to explain why and how and ask him every question that you need answered. Explain calmly that he owes you as much and that you need to fully understand so you can heal and move on. With or without him. Seems catastrophic, I know, I did it. Big risk. I thought it was the end for sure but it was a brand new beginning. Fast forward 5 years this coming December. Trust, love, communication and a relationship I never knew could exist. You have to be true to yourself-first and foremost. My husband cheated on me. i woke up one night and knew something wasnt right. I went out to his truck.. and sat in it until he came home (he ‘went on a walk.’) When he came home I immediately asked where he was, he said “on a walk” when i pushed further and finally asked him point blank, he said “okay, i slept with someone” When I asked who, he was hesitant but told me (Our son’s best friends mom,.. who lives just around the corner from our house) I obviously want to move! I texted the woman and point blank said “I’d appreciate if you’d stop sleeping (different word) my husband! Her phone number was blocked on his phone, from calls and texts thru Sprint, so it cannot be undone on the phone. However I recently found a cell phone in his truck that had been smashed… I asked him if he was using this phone and he admitted that he had been using it when he was “talking” to her. I do not know the extent of their talks, or how long, or how often,…i assume about 1.5 months maybe 2. He said he immediately cut off all communication to her when I found out. We have been going thru Reengage at our church for spouses to work thru things such as this… we seem to be doing much better, and I do feel we are much closer, we talk more often, and i find myself wanting to be around him (before I found out,.. I knew we were “roommates” living together) our communication had stopped. I didnt care if he went out of town to hunt,.. i just wasnt in it either. That has changed and we now go to hunt together, and are very involved in pursuing each other… however, i cannot move forward. I want to believe he is not still cheating and will not again,.. but I am consumed! DAILY! with the thought.. the pain… the worry… wondering..etc How do I move forward? How do I continue to try for our marriage without letting alll these thoughts hinder me from doing so?? Alicia first of all I’m sorry this has happened to you. It’s devastating and hurtful for a spouse to breach our trust.Speaking as a survivor of trust being broken I can tell you it’s going to take time. I’m going through the same thing and it’s been very difficult. My husband is trying to be more mindful of letting me know when he’s going to be late from work, calls me on the way home aswell. But I to still have my doubts. What I started to do recently is I started to say one day my husband will have to answer to God about what he has done. And me constantly worry about what if…is stealing my joy. And we all know who loves to steal our joy. I don’t give in to the what if anymore. Because it was becoming an obsession. A bad one. I’m trusting in God now and allowing my husband to redeem himself. Hope this helps and immediately pray for restoration and peace in your marriage. My husband had a 6 month fling back in 2009. I still think about it every single day. Back then when I found out most answers to my questions were, “I don’t know or I can’t remember “. He promised many things but most have yet to happen. If I even brought up subject he would get on the defensive. Says he loves me and wants me but his actions dont show it. He has withdrawn emotionally and is cold, he also drinks too much. His life consists of work, drinking and falls asleep right after supper. My life is a lonely one. We have been together almost 36 years. I still love him but am tired of living this way. I’m also afraid to bring it up for fear of starting a war here. Any suggestions? My partner told me his first wife left him after finding out about a 2 year affair. He said he would never cheat again after all the pain he caused her. I accepted that he had learned from this experience and it wouldn’t happen again. Fast forward a few years – we were going through some difficulties, and separated for 1 week! Though I felt something was still off, we got back together and a few weeks later, he left on an extended road trip. Towards the end I joined him and on a whim on day, I checked his phone (I’ve never done that before) There was a long sexting session with a woman back home. After confronting him he explained he had met her on New Years Eve during the week we were apart, and slept with her a couple of days later. He broke it off after we got back together, but then started texting her again while he was away, and those texts become very intimate. It took some time, but we got past this. Fast forward to this year and I’m getting that oh oh feeling again. I looked at his emails and found that he had an affair while travelling the year before!! Emails including their ‘song’ and how they’d both do it again! I also read that his next trip to England was planned specifically to see her! Emails again proving this and lots of photos. At least none of them are sexual this time, but he did let her wear his ring! Now as I dig dipper, I see the phone # of the local woman from New Years is back in his phone…I’m so hurt, furious, sad and angry! I have no idea what or where to go from here. I doubt this relationship can be saved, and I don’t even know if trust is possible anywhere anymore. Any suggestions? My husband has a drug addiction. As well as me but I been sober for 5yrs. My husband come clean to me 7m ago, we been together 9yrs and married 1yr this July 20. After we got married not even 24hrs, he left to work in the morning and never come back until 3days later. Coming back from his run he told me he has been cheating on me all this time since we been together. Even after we got married. To make matters worse one of them was with my bestfriend more like my sister that happened the day I had our son I was in The hospital. We are talking about 20+ times or more. He blames it on his addiction.